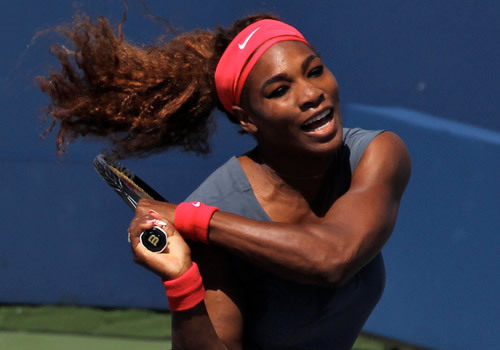 Miami 2014 preview: Can anyone stop Serena Williams as she bids for a seventh title? One of the four elite WTA events of the year follows hot on the heels of the first as the Sony Open Premier Mandatory in Miami takes off where Indian Wells left off. The only difference is—or rather the most significant difference is—that the defending and six-time former champion Serena Williams will head the field after bypassing the tournament in the Californian desert. However another former champion and one of the American’s biggest rivals, Victoria Azarenka, will miss the Florida event after losing her opening match in Indian Wells. The 2009 and 2011 Miami champion continues to be plagued by a foot injury that also saw her miss Doha—but it’s an ill wind that blows nobody any good. And the woman to benefit is Maria Sharapova, who has been fortunate to retain her own quarter here. Having made a surprise exit in the third round of Indian Wells, her ranking dropped to No7 this week, but the Miami draw was made in the nick of time, while she was still ranked No5. The woman who had arguably deserved to top her own quarter, Simona Halep, was the one to rise into the No5 spot this week. The young Romanian soared through the rankings last year from No47 to No11 with no fewer than six titles in the space of six months, and has continued to shine this season with the Doha title, Australian Open quarters and a semi finish in Indian Wells. As it is, Halep has fallen into the quarter of the No3-ranked Agnieszka Radwanska—though there may still be an outside chance that Halep could become the highest seed if the Polish woman is unfit by the time she is scheduled to play her first match. Radwanska was a finalist in Indian Wells, but was carrying a painful knee injury throughout the match. The fourth woman, ranked at a career-high No2 after one of the best runs of the year so far, is Li Na: Australian Open and Shenzhen champion and semi-finalist last week in Indian Wells. The 32-year-old from China seems still to be maturing and improving, and does not lack ambition. Make no mistake: She would love to take one more step to the top of the pile, and with Williams facing the prospect of huge points to defend—five titles up to and including the French Open—it is clearly a viable target for Li. tournament has a huge 96-woman draw that requires a minimum of six wins by the 32 seeds, seven wins by the unseeded players, if they are to claim the title. Can anyone prevent Serena’s seventh? Former champions in draw: Serena Williams (2002, 2003, 2004, 2007, 2008, 2013); Venus Williams (1998, 1999, 2001); Svetlana Kuznetsova (2006); Agnieszka Radwanska (2012). In terms of the other seeds, Williams’ quarter looks perfectly manageable. Her fourth-round opponent is scheduled to be the sliding No16 Sam Stosur, ranked No20 this week, with No5 seed Angelique Kerber, who is down to No9 this week after an early exit in Indian Wells, in the quarters. Sara Errani and Anastasia Pavlyuchenkova are the other seeds here. In fact it could be the unexpected that trips Williams up. There are two rising talents lurking in her top-eighth, Caroline Garcia and Victoria Duval. And in the Kerber eighth, the likes of Mona Barthel and Tsvetana Pironkova are capable of upsets. But in short, it’s hard to see Williams not taking up her allotted place in the semis and a possible fourth meeting in Miami with Sharapova. They even contested last year’s final, in their first three-setter in five years. As she has done in every match against Sharapova in the last decade, Williams won. As if the prospect of Williams in the semis was not enough, coming as it does on the back of a disappointing run as defending champion in Indian Wells, Sharapova has a dangerous quarter in Miami. It starts well enough, but even her first seed, Lucie Safarova, can turn on the form against strong opponents. This season, she pushed Li to the limits in Australia, Petra Kvitova in Doha and Halep in Indian Wells. She also has one win from three matches against Sharapova, losing a close three-setter in Stuttgart in their last. Sharapova’s fourth round could offer up Sabine Lisicki, and the quarter-final might hold one of a clutch of strong players: Kvitova, Kuznetsova, Ana Ivanovic or the Indian Wells titlist and new No12, Flavia Pennetta. In fairness, though, the slow Miami courts and humid conditions will suit the all-court variety of Pennetta less well than did Indian Wells—and the same may be true of Lisicki and Kvitova. And it’s a very rare woman who has won these two tournaments back-to-back: only Kim Clijsters and Steffi Graf. However, Sharapova is a five-time finalist in Miami, including last year, when she won the first set against Williams. An early exit in Indian Wells may be just what the doctor ordered. Briton Heather Watson is in this tough quarter as a wild card, but has a good chance against an opening qualifier followed by No19 seed Kirsten Flipkens. Watching Radwanska’s struggles in the final in Indian Wells, it’s hard to imagine she will be a major force through a possible six rounds so soon afterwards, even though she is a former champion. And she has not been helped by the draw, either. She has a potential quarter-final against the in-form Halep, who she beat in the Indian Wells semis but lost to in Doha. That’s assuming Halep is not replaced by the other former champion named Williams, big sister Venus. The extraordinary 33-year-old is playing for the first time since taking the Dubai title—where she beat Ivanovic, Pennetta and Caroline Wozniacki—and has beaten Halep in all three of their previous matches. The winner of that third-round contest could face another in-form woman, No10 seed and Australian finalist, Dominika Cibulkova, in the fourth round. So this is a packed eighth, and any of the big names would be a challenge to Radwanska in the quarters. Perhaps the biggest threat to the Pole in her eighth is the fast-rising No18 seed, Eugenie Bouchard, but other seeds are Elena Vesnina and Roberta Vinci. If Li has been one of the form players of the season so far, she shares the bottom quarter with another who has been making one of the strongest comebacks to the top of the game, former No1 Jelena Jankovic. The 29-year-old Serb is up to her highest rank since she hit the top in 2008, now at No6. Should the two reach the quarters, they would replay three matches from last year, with Jankovic winning in Rome but Li taking revenge at the US Open and the WTA championships in a tough three-setter. But Jankovic’s progress could be impeded by the surviver between Wozniacki and Sloane Stephens, who are set to meet in the third round. On home turf, and with Paul Annacone in her corner, the American may just make it through, and could give Jankovic a run for her money, too. Li’s eighth holds the unpredictable Daniela Hantuchova, though she will have her work cut out against the unseeded and improving young challenger, Madison Keys. Christina McHale is also in this eighth.